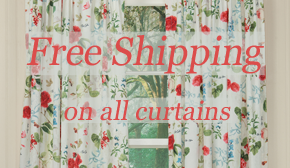 Attending a bridal shower, birthday party or family gathering soon and looking for a simple and charming gift to bring for the hostess or guest of honor? Take a look at this range of made in America around the house items available now on Sturbridge Yankee Workshop’s website. 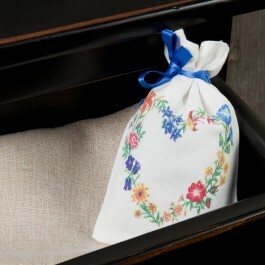 Drawer sachets never go out of style. Give a gift that keeps on giving with charming sachets filled with the calming scent of real lavender flowers. Friends who travel frequently can even tuck one into their suitcase for a real treat when they are on the road. 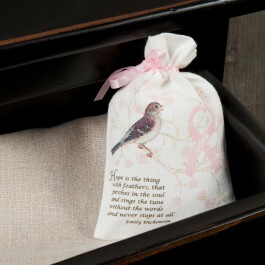 Charming imagery on Hope Pink Ribbon Sachet or Heart Flowers Sachet is sure to make anyone smile. 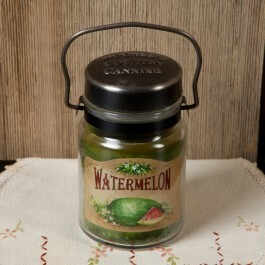 Wonderful aromas are also achieved with jar candles in fragrances such as watermelon or strawberry, just right for the busy hostess who wants to keep room’s smelling fresh. Whether you have a friend who decorates their bathroom in a seaside beach theme or you have a friend who does the same in their dining room, these charming accents feel fresh from the sea to enhance relaxation and laid back atmosphere in every room. 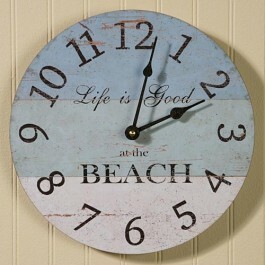 Life is Good Beach Clock will remind you of the time while keeping your mind on all things beach related, whether for an in-town home or ocean front cottage. 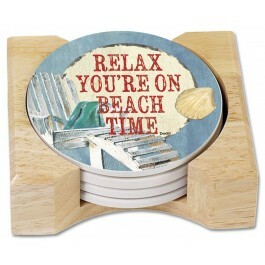 Beach Time Placemat or Coaster Set make a wonderful duo for giving to a friend who hosts summer gatherings in their yard or coastal home. 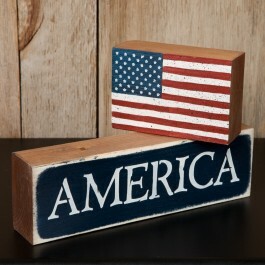 Many folks decorate with Americana theme all year round. 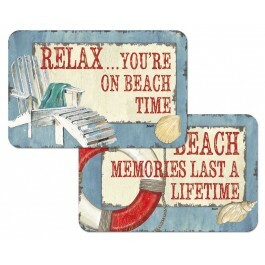 Enhance the collection of a close friend with charming gift ideas just right for Fourth of July parties or for display throughout the year. 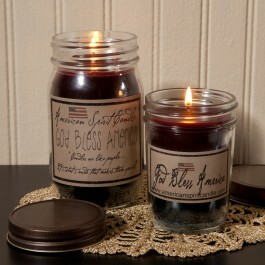 Americana Candle Jar is available in two sizes and features rustic imagery on pasted labels and inviting scents of favorite American desserts in wax colors of red, white and blue. 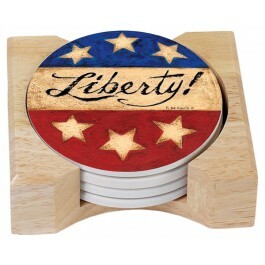 Americana Coaster Set and America & Flag Sign Blocks offer primitive imagery for display on patriotic occasions or all year long. Hostess gifts are often overlooked when attention should be paid to the guy or gal who opened their home for a special event or gathering of friends and family. Show your appreciation for their hard work, especially if they prepared the food, by giving the gift of a reliable cooking tool that they can use in the kitchen. 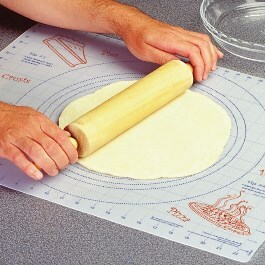 Non-slip Pastry Mat is simply essential for any host who makes pies, cookies or other delectable desserts. 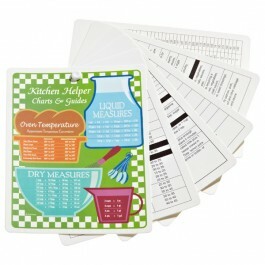 Kitchen Helper Guide is always welcome in any kitchen, by new or seasoned cooks alike. 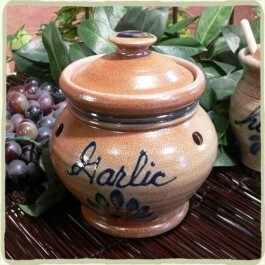 Garlic Keeper offers an easy way to keep garlic fresh for friends who adore Italian cooking. This entry was posted on Monday, April 21st, 2014 at 9:55 am	and is filed under Americana, Bathroom, Gift, Kitchen, Made in the USA, Thematic. You can follow any responses to this entry through the RSS 2.0 feed. You can leave a response, or trackback from your own site.